Created a number of deathmatch maps for Half-Life. Received award for Planet Half-Life's Level of the week for the map "Cold Feet". Life is filled with odd twists, turns, and unexpected opportunities. Cocompadres started working in construction scheduling 2002 and has been doing it since then. Projects Cocompadres has worked on include Miami International Airport, Lincoln Center, the new Yankees Stadium, JFK Airport, The Queens Midtown Tunnel, the World Trade Center Transportation Hub (The Oculus), New York Times College Point, and the 911 Memorial Museum. Some Guy Told Cocompadres to "Check out Unity3D"
Sometime around 2009 Friend of the Studio Matt Richardson, mentioned that Cocompadres should look into a game engine called Unity3D. Cocompadres set up the Unity3D Exploration Comity in November of 2009 to research the viability and studio interest in working with Unity3D. The study came back with an evaluation of "Satisfactory". This lead to Cocompadres and Matt Richardson collaborating on an overly ambitious game which got canned in 2012. After the failed collaboration with Matt Richardson the studio moved on to create a mobile game internally. This required the studio to re-tool as Cocompadres consisted mainly of an artist collective and construction workers. The reason they collaborated with Matt Richardson was due to its impressive engineering background. In early 2015 Cocompadres released RobottoPanikku after 2 years of development. The road was long, arduous and financially uneventful. After completing the project the studio released the following statement: "I will shoot myself in the face before I ever do mobile again." After RobottoPanikku, frustrated with the difficulties of publishing on mobile the studio again went on hiatus. Getting the college degree its mother always wanted it to get. Then one fateful Day in November Cocompadres parents-in-law got the studio a Raspberry Pi for its birthday. They suggested the studio make a game to play on it for Christmas when the studio would next see them... in a month. The studio panicked and setup an Exploration Comity consisting of the same team as the Unity3D Exploration Comity. 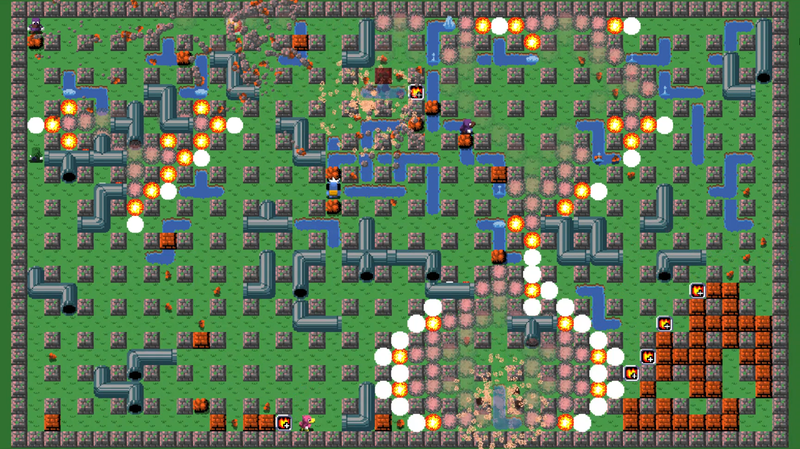 They came back with the idea of a local multiplayer game in the vein of Bomberman. 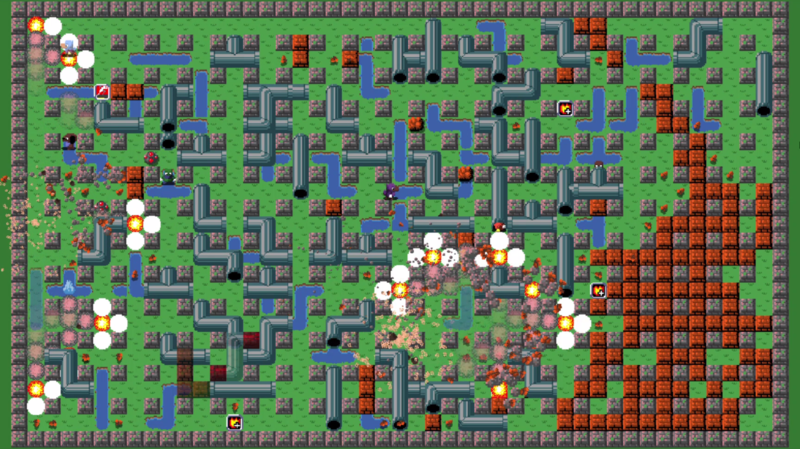 Members of the studio always wanted to do a unique take on the Bomberman formula and Trenchfoot was born. There are far more images available for CoCompadres, but these are the ones we felt would be most useful to you. If you have specific requests, please do contact us! Here's the store page for it. store.steampowered.com.